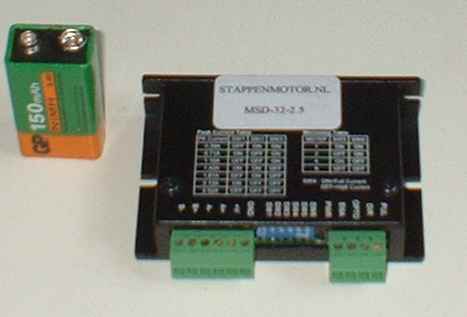 Powersupply 12Vdc -32 Vdc.Can be supplyed with a powersupply from the PC. Step frequentie > 100 Khz. Size 86 * 55 * 20 mm.